In order to make these transcripts as accessible as possible, each one will be produced in four formats: as an online post for access convenience, in a word document with a low vision friendly font (Veranda), in a pdf with a dyslexia friendly font (OpenDyslexic), and a low contrast blue on black pdf as an access option for people with migraines (Veranda). For each episode, links to all four transcript formats will be located in the show notes, as well as in the online transcript post. In addition, the Transcripts Page will be a centralized home for all transcripts. Here are the transcript links and info. TOBI: Hello, you are listening to Writing Alchemy, stories that step outside the oppressive grind of the everyday world with your host, writer and artist Fay Onyx. FAY: Tabitha the space alien cat, Jake the fake TV psychic, and Lalla the plant talker botanist are the paranormal detectives of Cat’s Paw Ghost Control. Join them as they solve supernatural problems with cat-themed technology, a shady network of contacts, and plant power. This game was played using InSpectres, which is a humorous, paranormal investigation themed role-playing game created by Jared Sorensen. The title, InSpectres, is actually spelled in an unusual manner, as a play on the word ‘specter.’ InSpectres creates stories that are along the lines of what you might expect for a particularly ridiculous Ghostbusters movie. As today’s game starts out, there is a lot of rules [and] explanation that Anna and I did together. This has been cut down to the parts that are most useful and entertaining. A side effect of this editing is that there are now a few moments where it seems like someone is jumping in awkwardly or the subject suddenly changes. So now you know where that comes from. Right now I’m going to take a quick moment to say thank you to all of the people who help make this show possible. To each and every one of my patreon backers, a huge heartfelt thank you for setting aside some of your money to support Writing Alchemy. Your contributions keep this show going! To all of my guests and participants past, present, and future, thank you for putting in the time, effort, and commitment to add your unique perspective and experience to this show. I can’t do this without you! And to each person who took the time to comment and share this show with others, thank you for helping this project grow. Your participation is creating a community and I am so grateful for that! Finally I’m going to quickly mention that you can follow Writing Alchemy on Twitter at writing underscore alchemy and on Facebook at facebook dot com slash writing alchemy. You can visit writing alchemy dot net to find all of the Writing Alchemy podcasts, articles, stories, and other content. And if you want to help me keep this podcast going, you can pledge your support on Patreon at patreon dot com slash writing alchemy. FAY: My name is Fay, and I use ze/hir pronouns. My basic accessibility needs that I expect to come up in this game are that I’m sensitive to violent humor, so slapstick humor is great; violence taken seriously is cool, so like if there’s a violent backstory to a ghost or whatever. Just not killing people as jokes. Yeah, so um… I’m genderqueer, I’m asexual, I’m queer, I’m a bunch of other things (laugh) that I’m not quite remembering. My privileged identities, the main ones is I’m white and middle-class. And of course, I have a disability – I have a back condition. I’m also neurodiverse, so I have anxiety and I’m highly sensitive. So that’s kind of the basics, and an interesting thing about myself is I’m very fond of cats and I expect this to come out in the game. ANNA: My name is Anna. Let’s see, accessibility needs: I can’t think of anything off the top of my head. And none have come up in thinking about this. I use she and her as my pronouns. I have bipolar disorder as well as hypermobile Ehlers-Danlos syndrome, which is a connective tissue collagen defect. So that means things like my knees bend backwards to an alarming degree. Um, I’m also white, cis, and middle-class. FAY: And is there anything unusual you’d like to share about yourself? Or just a small treat, something fun? ANNA: Um, I knit a lot. Like, a sweater I’ve been knitting – I’m knitting, currently. I’ve knit the yarn into at least three sweaters until I’ve settled on this one as the one I want it to live its life as. JOSEPH: My name is Joseph. I have Generalized Anxiety Disorder. I’m asexual. I’m also a cis white male. I did not grow up upper-class or middle-class, I grew up rather poor, but I am now fortunately middle-class. Something interesting about me… I like to draw. FAY: And I suspect we might hear some very slight drawing sounds throughout the course of this game. And perhaps, if there’s any really awesome character drawings that you feel like sharing, I might put them online. BILLIE: I’m billie. My pronouns are ze and hir. I- Do we say like our identities now? FAY: If you have any accessibility needs. BILLIE: I have so many accessibility needs that I don’t think we have time to talk about them all. BILLIE: But like what impacts probably the recording would be I’m crazy, I have multiple personalities and a bunch of other things, and I also have brain damage. And I laugh all the time because I’m insane, and (laughs) like this, this game is fragrance-free, I think because of my access needs. BILLIE: So that’s a big one for me. But we won’t… it’s not really gonna come up on the recording, (FAY: mhm) but that’s just a thing that’s happening and I might need to take breaks for- I have a lot of chronic pain. FAY: Sure, sure. And the other thing is that we do have this process of replacing oppressive language as it comes up. FAY: Yeah, and I believe that something you also mentioned was that your ability to change language is also kind of limited (BILLIE: yeah, for sure) by your brain injury. BILLIE: Yeah, I have parietal lobe injuries, and the parietal lobe is your main language center, so I’m pretty much stuck at where I was when I was sixteen and I got the brain injury, as far as, like, most linguistic stuff goes. And I forget the words for things all the time and stuff like that. FAY: Yeah. So we’ll just be working with that and trying to find kind of a happy medium of maybe replacing some things, but letting others just kinda hang. ANNA: I call myself crazy all the time. BILLIE: I actually, it’s like one of my favorite words in the English language. Like I just identify with it so strongly (FAY: Yeah, yeah) and it’s so versatile. But I don’t like being called crazy in a negative way (FAY: Absolutely) and I definitely don’t support that. BILLIE: Can I say my thing about me? BILLIE: So this is my first role-playing game, so much so that I might even be using the wrong language to talk about it, and I’m really excited to try it. And I was saying earlier, I grew up with people that played Dungeons and Dragons and we were friends. But I was more into going outside, so I didn’t actually play it with them. But I’m excited to like finally, at age forty four, be playing my first role-playing game. FAY: Cool, awesome. So yeah, I think we can jump into playing now. ANNA: Okay, cool. (FAY: Yeah, yeah.) So, uh my general thing is we’ll just kinda start with character creation because that’s how you start a game. So if you look at your character sheets… I don’t, I don’t have a copy. I’ll just look at Joe’s upside down, ‘cause I can read upside down. You have four sort of, what may be called stats – which is short for statistics. FAY: The four main skills or abilities that any character can have. ANNA: So there’s Academics, which sort of covers the broad academic portion of what your character’s good at. So it’s kind of, if you want your character to be good at researching or coming up with theories or things like that, you’d put a lot of things in Academics. Next is Athletics, which is… broad. FAY: Yeah, so basically any physical thing like fighting, running, jumping, climbing. ANNA: Then there’s Technology. So in the book, it says crossbows or pistols would be using your Athletic skill, whereas any sort of fancy technological machine would be using your Technology skill. Um, you can change the time on your VCR in the book example. Stuff- that kind of general, broad skill. FAY: And my understanding is that it covers all the fancy, Ghostbuster-y type gadgetry that we’re going to be using. So all of our, like, fancy ghost detectors or ghost-catching technology would be under that. ANNA: Correct, and the last one is Contact. And I’m just going to read out of the book. “Contact is your character’s ability to talk to people. Potential clients, anxious investors, bored housewives, litigious lawyers, nosy reporters, etc., etc., etc. It also represents who you know. If you know a lot of- if you have a lot of contacts, you would put a lot of dice into your contact skill… which brings me to the next thing, which is what you put in there. You have essentially nine dice, six-sided dice, also known as D6 for short. D for dice, six for the number of sides on it. And you distribute them however you want. One thing is no skill can be higher than four or lower than one. So you have to be at least marginally good at something, and you can’t be amazing at only one thing. JOSEPH: The short way to put it is that you’re gonna put a number in each of these. The numbers need to add up to nine. BILLIE: Oh, they need to add up to nine. And I don’t- do I roll for these numbers? JOSEPH: You, you- No, um, they’ll be how many dice you roll when you use that skill. FAY: Yeah, so the main way the system works is that when you try to do- you just narrate what your character’s gonna do. So like, my character… goes up and she tries to use the ghost detector. And we’re like, “Okay, that’s Technology.” So say she’s got a three in Technology, then she rolls three dice. You take the number on the highest-number dice. That number is how successful you are. So that means, like, you could be wildly successful with just one dice in a skill, but you could also fail drastically. So the more dice you have for a skill, the better you are at it. So that’s kind of the core character mechanic. BILLIE: Botany was totally gonna be mine. FAY: Wow, that sounds great. ANNA: And so the more creative you are the better, because you can always just sort of get me, the GM, to say, “Yes, you can use your… botany because there are vines growing up the house and maybe that has to do with the ghost.” (laughter) There’s a lot of vines. They’re a weird kind of vine. Maybe that means the ghost is from some place that you’ve never been and because the vines are not native to the local area. That is really the main character stuff. That’s pretty much the entire chapter of creating your agent. FAY: Awesome. So I think we should maybe have someone jump in? I do wanna say something to start out with, which is my character is gonna be a cat, which is unusual. Usually you go for human characters. Since this is kind of a Ghostbusters-type thing, I just want to ask the group, how much are we up for leaning into the cat theme? FAY: (narration) The group is smiling and nodding in agreement. FAY: Oh, yes! I have some cat-themed technology. Can my character be a space alien technology person? JOSEPH: I support it entirely. FAY: Okay, great. Cat-themed technology, this is beautiful. Okay, should I go first, or? JOSEPH: It sounds like you’re already on it. FAY: I’m sort of already doing it, okay. So my idea was, my main core idea is that I wanted to play a character with the personality of my cat, Lily. Because she’s really curious but also really skittish, and I felt that that would be a great personality for this game. And I just can’t imagine that being in a person. So my backstory idea is that there was an ancient alien cat progenitor race which seeded the galaxy with the beginnings of life. And now they’re going around, looking at what each planet they seeded with life has produced. FAY: And the Earth was one of them. And so my cat Tabitha is a researcher, a technology-focused researcher, who has come down to investigate our planet, which, oddly, produced humans and domesticated cats which do not have super-intelligence. Which is interesting to her. And she is a standard cat size – though she does have a [sic] opposable thumb, which is kind of like where cats have that back little claw. It’s just really large. JOSEPH: Just one or two? JOSEPH: One on each hand? FAY: Yeah, one for each, like you know, hand. FAY: Yeah, so they have opposable thumbs because I think the idea of a cat with an opposable thumb is rather terrifying. If my cat had opposable thumbs, she would do a lot of things that she should not do. So basically she’s got a robot, which is… her translator, but basically this robot is a little old lady. It looks like a little old human lady, and everyone thinks that is her owner. But it’s really just her translator, and she is a YouTube sensation. (laughter) She announced her presence to the people of the Earth on YouTube, but no one actually believes her, but she’s very popular. So that’s her background; (laughs) so that’s Tabitha the tabby. And I’m gonna go all the way for Technology. A four for her. Now, her disability – I wanted to choose a disability that was kinda close to my own, as well as something I’ve experienced with my own cats that I’ve owned. So she’s gonna have chronic joint pain, ‘cause I’ve had multiple cats with chronic joint pain. As well as being very skittish. Part of why I’m excited to play that is her extreme mix of curiosity plus skittishness is a really good way of getting an anxious character who also is going out and doing things. So I think I might be giving her an Athletics of one because she is not wanting to run and jump and climb trees. Because that hurts. So that’s- of my nine, I have spent five, so that means I’ve got four left. Well, I think she’s a researcher, so I’m guessing she might have an Academics of… you know what, I’ll give her an Academics of two and a Contact of two. She is a YouTube sensation. So I’m torn between talents. I was kinda thinking something along the lines of being super cute, as her talent? Or maybe just being a YouTube celebrity. ANNA: My recommendation would be YouTube celebrity. ANNA: Just because you can be a really adorable YouTube celebrity, so. FAY: Absolutely. YouTube celebrity it is. So that’s all of the stuff that I need for Tabitha. JOSEPH: So should I go next so that she’s gotten both examples? JOSEPH: Or “ze,” excuse me. JOSEPH: I’m playing Jacob Dylan, who goes by Jake. Jake is a fake TV psychic. FAY: (gasps) Oh my gosh! JOSEPH: So I’m putting his Contact at four ‘cause he talks for a living. JOSEPH: He’s had to run from the cops a few times and things like that, so I was gonna put his Athletics at two. (FAY: Okay.) Set the Academics- he’s never really needed to go to school, so Academics setting at one. And that will put Technology, I believe, at two. FAY: This is gonna be a wild game. JOSEPH: He became a TV psychic because he’s got crippling social anxiety, so he started lying at a young age and it came really easily to him. And so he just got better and better at it and started telling people he’s a psychic and got really renowned for it. FAY: Anxiety team! Yes! (BILLIE: laughs) I’ve really been wanting to get into having characters with anxiety going out and doing bizarre risky things. FAY: This is awesome. Please be an academics person; otherwise I might shift my character’s stats. BILLIE: I think that I am. FAY: Yes! No one’s athletics, not much. BILLIE: Okay, so my character’s name is Lalla. Oh- am I supposed to keep- no, do you have more stuff? JOSEPH: Not at all, I was just gonna say we don’t necessarily need athletics ‘cause you can definitely make up for athletics with technology. FAY: Yeah, I kind of- that’s part of what playing a bunch of disabled characters can be all about. BILLIE: Yeah, yeah, low athletics. FAY: What do you do when no one has athletics? You just approach problems differently. How does that look? BILLIE: But it’s also like some disabled people are athletes, because their, y’know, disabilities don’t necessarily prevent them from… (FAY: Absolutely) but I don’t know if any of us are. FAY: Well like my partner Tobi, who has Multiple Chemical Sensitivity, but she’s like really strong and athletic, yeah. BILLIE: Okay, I think- I think I pretty much know what I’m supposed to be doing here. So my character’s name is Lalla… and ze is basically- the way that I imagine Lalla is that ze, like, lives in this greenhouse and they’re kind of an herbalist botanist. And people go to them for advice about, like, medicinal herbs and they have their own medicinal herb garden but then they also grow magical herbs. And this is where I was thinking it could sort of overlap with the ghost story, is that my character would have special knowledge of what kinds of plants, like, interact with the other side? And you know. BILLIE: So Lalla would know about these sort- how this interacts. JOSEPH: My character’s definitely not a real psychic. BILLIE: Well, I was thinking mine would be kind of a plant talker. You know, that’s how ze got into it, was plants would be like, “hey.” ‘Cause I, for example- I’m basing this on me. Because basically I have all these illnesses and plants tell me to, like, take them? And then I’ll look them up and I’ll find out that the plant that told me to take it was good for- for example, red clover’s good for tumor shrinking. I have tumors in my lungs. And I just had this feeling. I was like, “I need to be drinking red clover,” and a month later, I read about it. I’m lazy and I don’t research it right away ‘cause I’m like, “What, the plant already told me.” (laughs) So I kind of feel like Lalla’s sort of like me in that way? I don’t know if we’re allowed to have that level of ability, (FAY: Sure) but I don’t know if that’s Technology or Academics. ANNA: I would say that would be Academics. BILLIE: Okay. So I’m gonna give Lalla a four on Academics. BILLIE: And then a one on Athletics and a two on Technology and Contact. BILLIE: I think that Lalla’s kind of like me also in terms of Contact. Like, likes to socialize with people and is good with people but needs a lot of alone time. And if they don’t- if ze doesn’t get- I keep calling Lalla “they.” I think I’m gonna do “they” instead of “ze” here, even though those aren’t mine. BILLIE: They/them. Even though Lalla really likes talking to people and is really good with people, if Lalla does not get their, like, alone time, they can be very, very grumpy. So I figure it’s kind of like one or the other, a little bit, with Lalla? Yeah. ANNA: Okay. So the next part is kind of the other character. So as a team, you all will build your franchise. The base premise of InSpectres is like, I can describe it, is as if Ghostbusters was like a McDonald’s? (wheezing laugh from someone else) And you can just buy a franchise and start it. So you have a franchise, and your franchise has a budget. ANNA: So the first part is… determining the franchise cards. FAY: So the more- the larger your franchise, the more cash you will have to begin with, but also the more challenging your problems are gonna be. The jobs you are gonna go out and do. So we start with an initial budget and that’s measured in a number of dice. And so basically what the cards are is that we have, for example, a library card. And if you have three dice on that, you can spend those dice to add to a single Academics roll. So you can spend one, two, or all three on a single Academics roll. It’s like, if you really want to succeed at something, you spend your dice on the cards. So the idea is to, as a group we’re gonna decide how many dice go on each of the cards. And those cards are basically, again, they match a skill. Except for the bank, which does everything. And those will be kind of like, if we really need to succeed on something and it’s towards the end and nobody’s very capable anymore because we’re all stressed out, we spend some cards and make our final rolls work. So we have the library card, which is for Academics. We have the gym membership, which is for Athletics. And the, I think… credit card, which is for Technology. Nothing adds to Contacts except for the bank, but the bank really… The mechanic for it is overly punishing, in my personal opinion. And so like if you put five dice into the bank and you roll badly, you lose all of them, even if you only added one bank dice. Which is- the other ones just add, so I suggest we just put them on the other cards. Personally. ANNA: So on this sheet, the franchise sheet, it does give a little table of how many dice you’ll have. So to begin with, I’d recommend five to distribute among the four cards. (FAY: Mhm. Sure.) And the sheet being the, um, franchise sheet, so. FAY: So, two or three for the gym membership? JOSEPH: I would say three and then one on the other two. FAY: Okay. And then one each on the others. Okay, awesome. BILLIE: So wait, do you not have a character? BILLIE: You’re just running the game? ANNA: I’m running the game. BILLIE: And that’s- you think that’s fun. ANNA: I get to play the world, essentially. BILLIE: Ahhh. Are you called the gamemaster? What is your title? FAY: The most universal one we’ve got, at this point. BILLIE: How? So like literally, just saying “DM” is trademarked? FAY: Can i tell you the system for making a franchise that I’ve heard on a podcast I listen to that I’ve really liked? FAY: What they did is they decided three things that were gonna make us a group, and each character rolls for one of them. That way, each person gets involved. One is the core technology that we use. The other is the transportation we use. And the third is what our home base is like. FAY: So we have each character rolling to create one of them, and so that’s kind of the set up, the core idea of how the franchise is. ANNA: Perfect. So as a new franchise, you’ve got a new office space. FAY: (sing-song voice) Can I do the technology? ANNA: Yes. Um, actually, like [the] Technology level… is that what you’re talking about? FAY: Well, no, so the idea is that I would do a roll now to set up the general technology that we have. (ANNA: Oh.) We’d still be rolling to use the technology, but it kind of sets a framework for how good our technology is, what the main flaws it has are, what the main stuff we have is. ANNA: Maybe, maybe. If you can get that good, but everybody has access to a cellphone and Google. FAY: Yeah, and so that means that we have kind of experimental prototypes, but we don’t have, like, magical stuff that’s really ridiculous. ANNA: Yeah. You don’t get- oh, I guess you have alien technology. BILLIE: Why is that ridiculous? FAY: Yeah, technically we should have alien technology. My guess is that she’s having to spend some time kind of working out how to do all the cool stuff she’s used to with Earth technology, because I imagine that’s kind of a late- it’s like, “how do I build a cellphone with Stone Age technology?” I think there’s kind of a gap there that she’s still struggling with. BILLIE: Wait, so, but my character is like kind of- is really psychic with plants. FAY: Mmm. Alright, so I’m gonna roll for the main technology we use. (rolling noises) And yeah, that was a good roll. Six, which means that the general technology is amazing and I get to just describe- so we don’t get any franchise dice for this part. BILLIE: Does that mean we do get the interlibrary loan? FAY: Um. Well no, it’s just kind of a general, like, how good is our general technology? How many drawbacks does it inherently have? (BILLIE: Ah.) Now, it’s experimental, so we still have to roll every time we’re using it because it might blow up. But what I’m thinking is a army of small robotic mice? (BILLIE laughs) That are ghost-sensing, that maybe don’t have perfect mobility. Or actually, how about little cat toys that self-propel and roll, but they’re ghost-sensing, so you release a bag of cat toys in a house. And they’ll like roll over to wherever the biggest areas of activity are. Um, as the main ghost-sensing technology, I’m also thinking that we might have, like, cat food cans that look like cat food cans, but they’re actually Ghostbuster-type storage devices. For catching and storing ghosts. BILLIE: So then you, like, pull it open. FAY: You pop the lid and make a zzhhh and it starts trying to trap- like you pop the lid off the cat food can and you throw it at the ghost, and it traps the ghost if you get it at the ghost. JOSEPH: And all the cats in the area come because they think you opened the can of food for them. BILLIE: So do we basically work for Tabitha, then? It sounds like we sort of work for Tabitha. JOSEPH: Tabitha thinks we do. BILLIE: Like they all do, don’t they? FAY: Well, I’m kind of thinking that the little old lady is named Abigail, and she’s a former engineer as far as everyone knows. And so everyone might think Abigail is the founder of (BILLIE: Aah) this little franchise, but Abigail says she’s got a space alien cat that she talks to. And Tabitha meows and then Abigail speaks, so. BILLIE: Ooh, yeah, this is me! BILLIE: Or y’all can, like, even make little bags and wear it around your neck for protection. FAY: Okay. So we’ve got herb powers (BILLIE & FAY laugh) and cat-based tech. So that’s kind of the core technology I’m imagining here. BILLIE: Should we have your character bring an element of the technology in, or? What’s your character’s Technology? JOSEPH: My character’s Technology is two, but I would think that my character would bring in something besides technology. The three basics? FAY: Yeah, so someone’s gonna do the transportation, so maybe your character does the transportation. JOSEPH: Yeah, I would think that my character has his own limo and driver, so. BILLIE: Oh, so he’s very successful. BILLIE: Well in this book Injection, this comic book that I read, it’s all a volunteer job basically, like trying to control this computer that has connected into British magic. So one of the characters is super, super rich, but he just does this as his hobby. And they’re part of this little team and they meet together. But it’s like some of them work and that’s their job. And [for] some of them, it’s just like a thing they do, and it’s not their job. (laughs) I’m just saying, so maybe it’s your really passionate hobby or something. JOSEPH: No, no, he’s definitely, he just got out of prison for tax evasion and tax fraud. BILLIE: But he’s still rich. FAY: Is he on probation? FAY: No one else wants him. FAY: Back in the psychic game. JOSEPH: So I’ve got a six on my contact roll, so I was able to procure my old driver as well as his limousine. (BILLIE: Nice.) (FAY: Okay, goodness.) So we will have rather stylish transportation. BILLIE: Can there be a hot tub at the back of the limousine? BILLIE: Oh my god (laughs). JOSEPH: The cat will hate it, but. FAY: (irritated voice) The steam is messing with the technology. FAY: And my fur. So, um, will Lalla determine our home base? FAY: And will that be an Academics roll or a Tech roll for Lalla? ANNA: Your decision. Are you trying to- how are you trying to procure this home base? ANNA: No, well, give me your idea and I’ll tell you what dice to roll. BILLIE: I mean like… what if Lalla- what if the home base was connected to Lalla’s personal greenhouses and stuff like that? Would that make sense? ANNA: Yeah, so I’d say… (blows air through mouth) Contact or Academics, whichever one’s better for you. Whichever has more. BILLIE: My Academics is four. ANNA: Okay. Then I’d say it’s an Academics roll. BILLIE: Okay, so what do I do? BILLIE: Okay, cool. One, four, two, six. ANNA: So you have, like, the best, however you want to describe it, is really important. FAY: It’s a ridiculous, awesome greenhouse setup there. BILLIE: Yeah, so let’s say it’s where she lives, but she lives very- they. God, I am messing Lalla’s pronouns up so bad. So Lalla lives in, like, an apartment and then basically has donated the rest of their property and house to this cause of, you know, protecting people from ghosts and things like that. And so Lalla lives on the top floor. Is this like- am I doing it right? BILLIE: So Lalla will live in like a condo or apartment above- on the top floor. And then the entire bottom floor is just meeting rooms, storage for all the technology, and then a giant greenhouse on the side where Lalla grows all of their special plants for ghostbusting and other activities. I bet Lalla’s cover job is being an herbalist. (FAY: Awesome). And we might be having a meeting and a random person might show up for, like, a tincture or… (laughs) Or Lalla might be shaking jars of herbs while we meet, for tinctures and things like that. ANNA: Okay, that’s awesome. That’s a great start. So one thing- so generally, rolls are gonna be like what we just did. So you roll, you get… a success, and that determines what happens. But with successes, you also get franchise dice, and that is how you mark your progress. FAY: So when we’re on a job, when you roll a five or a six, you gain franchise dice. They’re basically like payment. So it’s kind of a weird abstract thing, but it’s like a job will be ten franchise dice difficulty, for example. And so when you earn ten franchise dice through a lot of different rolls, you’re kind of mechanically considered to have been successful and be able to get full payment for your job. JOSEPH: So hopefully a good way to scale kind of how close to the climax of the story and how complete things should be. FAY: So we’ll be tracking that. BILLIE: Are we supposed to- how much of this character sheet are we supposed to fill out? JOSEPH: As much as makes you happy, now that we’ve got everything else. FAY: Oh, did you say what Lalla’s disability is? ANNA: Okay. So I… I think what I’m gonna do is just- there’s a table in the book that lets me roll some dice and give you a random client. ANNA: So, does somebody want to take point on answering the phone? FAY: That makes a lot of sense. ANNA: Okay, so let me just roll some dice here really fast. FAY: Oh, yes yes yes! I have a list of ideas. FAY: That I generated. Does anyone have just… anything cool off the top of their head? FAY: Okay. What do people think about “Cat’s Paw Ghost Control”? BILLIE: (laughs) Cat’s Paw Ghost Control? BILLIE: Okay, wait. Say that again? FAY: Cat’s – Paw – Ghost – Control. BILLIE: I mean that really works, since most of our stuff is gonna look like cat stuff. FAY: The cutest ghost control of service in this life or the next. FAY: Please stick around for the continuation of today’s episode after this brief announcement. If you are enjoying today’s show, please help me keep it going by heading over to my Patreon page at www dot P A T R E O N dot com slash Writing Alchemy and pledging a monthly donation. Even a dollar a month is a meaningful contribution that helps me keep doing this. These pledges pay for things like audio equipment, web hosting services, and acquiring all of the interesting gaming systems we will be playing in this series. It is also my hope to grow my patreon funding to the point where I can afford to increase accessibility with things like episode transcription. And to all of my Patreon backers, guests, participants, and community members. Thank you! Your support makes this show possible! ANNA: So I think we’re at a point where I will go brring! Brring! BILLIE: Ghost Paw Cat Control. ANNA: “Well, I mean I was going to pick up my daughter! And I was at the store and I was wearing lederhosen and they just kept falling- like the straps, they just kept falling off! It was very weird. I feel like you need to go to the store. I will hire you to go to the store and examine this weird phenomena at the store.” I don’t know. What are lederhosen? It’s important. JOSEPH: “I’ll see what we can do.” Lederhosen, check. JOSEPH: “Alright.” Guys, we’ve got a job! FAY: (fascinated tone) Really. Do tell. JOSEPH: We are apparently going to investigate some paranormal activity that involves unusual forms of dress, and a QFC that is potentially haunted. FAY: Oh, awesome. Um, which QFC? We can do a little research. JOSEPH: It’s the one by the river across from the Qdoba. FAY: Okay, so who wants to research? BILLIE: I think I should research. BILLIE: Okay. How do I do that? JOSEPH: What is your academics? JOSEPH: You would roll four dice. FAY: [We’ll] see how successful that is. ANNA: And we have a six and three twos. FAY: We get a franchise dice- or two franchise dice. ANNA: Two franchise dice. I will keep track. I’ll say this is a five franchise dice operation, so. FAY: Really. I think five, we would get to really fast. ANNA: Okay. Ten? Ten seem fair? JOSEPH: Especially with opening with a six. I mean, we’re covered. FAY: We already got two. ANNA: So now, because you’re so successful, you get to tell us what information you gleaned from that Academics roll. And this is you get to just make up whatever you want, interesting thing about this QFC that you have uncovered. BILLIE: Wait, lederhosen are from Germany, are they? Yes, yes. So I think there’s a lederhosen sprite in Germany that is really just extremely offended by lederhosen. They were actually a designer that designed an alternate type of clothing, but they were completely overshadowed by the lederhosen craze. (FAY: Mmm.) And when they died, their only purpose in life is just to mess with people’s lederhosen? FAY: Okay, so that exists in Germany and we’re suspicious. BILLIE: Yes, but locally there are lots of herbs that can counteract and bind this really unfortunate type of haunting. FAY: Okay, okay. (BILLIE starts laughing) So we do think it has to do with the lederhosen. So we’re gonna have to get ahold of some lederhosen (breaks into laughter) Are we all gonna be wearing lederhosen? BILLIE: Yes, I think we all should wear it. FAY: Do we need cat-sized lederhosen? JOSEPH: I’ll see what we can do. BILLIE: And they must, they must be made in the traditional way. It can’t be a lederhosen costume; it has to be real lederhosen. JOSEPH: Looks like we are- the highest number is a six. JOSEPH: My old costumer Sally is gonna be able to acquire us the lederhosen we need as well as one specifically tailored for a cat. BILLIE: Does Abigail go with us? Yeah, I guess so, huh? FAY: Yeah, ‘cause Tabitha can’t speak without her. JOSEPH: So yeah, I’m gonna be drawing a cat with lederhosen on them, apparently, tonight. JOSEPH: But yeah, so we’re able to acquire them rather quickly. For some reason, Sally had them on hand. BILLIE: Even the cat one. JOSEPH: Even the cat one. FAY: Yeah, they just went through Oktoberfest. FAY: So it is now officially November. JOSEPH: So that’s two more points. FAY: Okay, so I think now we like get our gear ready and go meet our client. ANNA: Yes, and you can also go investigate, figure out what you need, and go back, so. Don’t feel limited to prepping everything based on a thirty-second phone call (laughs). JOSEPH: I think we’ve done plenty of preliminary work. We should go and talk to the client now, honestly. BILLIE: Do I get to keep the lederhosen when we’re done? JOSEPH: You’re contractually obligated to wear it now. FAY: So we’re gonna show up to meet Helen, all wearing lederhosen. ANNA: (laughs) Okay, so you- how are you getting there, by the way? FAY: Okay, so we all step out of the limousine and we’re wearing lederhosen. JOSEPH: And the whole like- you wearing- there is a cat! JOSEPH: Across from the Qdoba. FAY: We’re in the middle of this grocery store. ANNA: Okay, so there’s a woman standing outside the grocery store, looking very concerned. In a pair of lederhosen. Um, she’s pretty obviously the woman you’re looking to meet. There aren’t a whole lot of lederhosen-wearing women in the suburbs. FAY: (nasal voice) You don’t say. JOSEPH: I will uh, walk out to introduce us. ANNA: “Well, here’s my phone number”- and she scribbles it down on a little piece of paper and hands it to one of you. “Now, if you need anything, just give me a call. This is very, very distressing. My- my lederhosen!” She runs off. BILLIE: Causing a riot at the QFC? ANNA: Causing a riot at the QFC. Um, and if you’re listening from outside of the state of Washington, QFC is a local grocery store chain. And you can either take a Stress roll, which is a mechanic where you’re doing something stressful. You need to roll some dice, see how it affects you. So either a Stress roll and just a Technology roll, or a Contacts roll and then a Technology roll. FAY: I see. So we’re either gonna be stressed because we’re doing something we’re not really supposed to at the grocery store, or we have to have someone talk to the employees first. FAY: Talk to the employees. JOSEPH: I’ll go ahead and talk to the employees. FAY: Then we’ll unleash the cat toys. JOSEPH: Uh, everyone stand back. This is a potential paranormal crime scene, and we have some very high-tech gear we’re going to be releasing. (FAY laughs) I get a four, so it’s not terrible. One old lady is, “No! I need to get my dino nuggets!” and just bolts through. JOSEPH: Maybe stepping on one or two of the cat toys, but. FAY: I don’t think we’ve released the cat toys just yet. FAY: Just so the listeners can tell, when you roll a four, you describe the mostly positive results of your action, but you must include negatives or humorous effects. So we have one person bolting for the dino nuggets. (JOSEPH: Mhm.) Were you able to get- talk to any of the employees and get them to agree to this? JOSEPH: I’m sure that I was able to find one pimply, teenaged, sixteen-year-old boy and just inform him, very authoritatively, that we were gonna be doing this. And he’s like, “Ookay? I’m not paid enough to care?” (all laugh) So it’s his fault if we’re in trouble. FAY: Yeah. So I’m guessing the way this works is that she’s got this big, rolling bag full of equipment that the android owner carries. And so oddly for all of you, what you see is the cat unzipping the bag and taking out a bucket of cat toys. Which she then happily knocks over onto the floor [rolling noise begins] and they all start rolling everywhere. JOSEPH: It is less weird because you are wearing lederhosen. FAY: And she’s wearing lederhosen! (all laugh) And another four. Wow, we saved those sixes for the beginning. FAY: So then again, I get to describe the result, but there’s going to be humorous side effects. So I think that the paranormal activity is not concentrated in this area of the store, and it’s in fact throughout the store. These cat toys just start going throughout the whole store, providing a tripping hazard for many potential people in the store. And they don’t cluster anywhere yet. BILLIE: They’re just like rolling around in the aisle. FAY: They’re just rolling around in the aisles. Occasionally, you hear little beeping squeak sounds, as there’s like a moment of concentrated energy. But now there are cat toys in the entire store. ANNA: Okay, so the manager comes up to you, and you’re standing in the frozen foods aisle. ANNA: “Okay. Well… collect your things, and figure it out. Please. We don’t want any more lederhosen-related incidents.” Make a stress roll. One die. There’s a little table on your character sheet (others make affirmative noises) that explains what happens. In the inverse of skills, it’s the lowest dice that you roll, not the highest. FAY: Mhm. All of us? JOSEPH: Yeah, so that is a five. JOSEPH: Yeah, I’m used to being a- especially since I was the guy doing mentalist tricks in prison. (all laugh) Getting hassled by store managers is not that big of a deal for me. FAY: That’s fortunate that you’re not putting frozen foods in the intermittent refrigerator (breaks into laughter). Just chilled beverages. FAY: Okay so like, we borrow a broom from the teenager. ‘Cause you know, teenagers often have to sweep the store. So we borrow the broom and sweep some of the cat toys towards this intermittent refrigerator. So I roll a Technology to see how this goes. FAY: I got a five, so I get one franchise dice, and that means… (reads) “Good, describe the result and gain one franchise dice.” Okay, so basically I think they start- I don’t know if you guys have ever seen those light-up cat toys that make little squeaking sounds and start flashing. Several of them start squeaking and flashing when they get near to this particular refrigerator. BILLIE: Is that the time to start busting out the herbs? FAY: We might, we might want to get some of the herbs. BILLIE: Well… I was thinking, like at this point I’m thinking about my research on the lederhosen sprite and the herbs that I found out were good at binding them. But of course, once we get there, the lederhosen sprite’s probably gonna go nuts because we’re all wearing lederhosen. ANNA: Yeah, so I’d definitely say that would be an Academics, because you’re trying- and I do think you would get an extra dice because you are using your botany special talent. BILLIE: Oh, okay. So then I roll five die? FAY: Okay, two more franchise dice. FAY: So what is your character doing? BILLIE: Well basically, my character has a belt full of bags of herbs, and I’m imagining that there’s an herb that, before we left, I ground into a powder in my mortar and pestle. Then I have it in a little pouch. And the main way to contain the sprites- these are all little imps that come from a very powerful lederhosen spirit that’s still in Germany. And the way to bind the spirit imps is you blow this powder at them, and it swirls around them and sends them back to the main powerful, very resentful lederhosen sprite (FAY laughs) whose fashions were not picked up. BILLIE: Yeah, basically anti-lederhosen sprite. FAY: So are you blowing some of this powder onto the refrigerator? BILLIE: Yeah, so I like open the containers that- where all the things are bleeping and bumping and they all start trying to jump in, so I know I’m at the right spot. So I take my little pouch, and I pour the powder into my hand and (blowing noise). Just blow it right on them. And then we see a swirl! That kind of looks like a mini herbal tornado. FAY: So an herbal tornado of spriteness. FAY: You got a six. An amazing result, so. BILLIE: Yeah, that’s what I was thinking is I blow the thing, and then it goes wshhh. FAY: Okay, so you caught one of the sprites in this, and that is gone. BILLIE: It basically surrounds it into a tornado and then implodes into nothing. ANNA: Yes. You do need three more franchise dice for this. JOSEPH: We gotta make sure we got all of them. FAY: Yes, I suspect the fact that the cat toy… spirit detectors spread throughout the store [means] we have a larger infestation of some kind. BILLIE: I would say so because my lederhosen straps are going nuts. BILLIE: (in disappointed tone) Yeah. BILLIE: I’m afraid my little shorts are gonna fall down. FAY: We’re gonna have to find a way to attract them all to one area, so we can maybe try to banish them or trap them. JOSEPH: Um, I can do a traditional German dance. JOSEPH: That will attract them- they will know that we are here in lederhosen. ANNA: What- what skill are you rolling for your traditional German dance? JOSEPH: Um, I was going to ask the GM what they would want. JOSEPH: Academics to know the dance? FAY: Oh, oh, maybe Academics and then Athletics. JOSEPH: -on the Academics. I know it for sure. JOSEPH: Well, since I’m used to doing, uh, the stage thing and actually being very overly dramatic, this should turn out well. Can I use my extra dice from being a TV personality? Is that okay? BILLIE: Oh, is that your special skill? JOSEPH: Yeah, being a TV psychic. Six. JOSEPH: So we were able to attract the other ones, and they quickly attack our lederhosen. FAY: So we’ve attracted them, so, um. BILLIE: So now our lederhosen are really going crazy. ANNA: Actually, let’s have everyone make a two-dice stress roll. You are in danger of losing your lederhosen in a grocery store. ANNA: Well, Abigail the android is in danger of losing the lederhosen. FAY: That might show she’s an android, okay. ANNA: Joseph, what is your lowest dice? JOSEPH: I lose a die in an appropriate- It makes me look bad. That’s bad for Contacts. ANNA: Yeah. I would say that would be- so, on the character sheet there’s two columns, one for your base dice skill number and then one for your current. ANNA: Because you can lose dice as you get more stressed, so. FAY: So stress drains our abilities, uh, in between jobs we can regain those abilities by taking a vacation. ANNA: Yeah. So billie, what did Lalla the plant psychic…? BILLIE: So I roll two dice. ANNA: The lower [is] two. BILLIE: I am actually extremely modest. FAY: So she needs to lose two dice for an appropriate skill or one die from two skills. So the way I’ve seen people do this is that you just kind of decide what skills make sense for you to lose dice from, and you can make up a story for why. BILLIE: I think the Academics because the thing is, she has- they have a brain injury. Since Lalla’s a real psychic who covers it up by pretending to be smart, maybe when Lalla gets stressed out, [they lose their] Academic ability because Lalla can no longer, like, come up with the right information. Does that make sense? BILLIE: Yeah, so then like do I write two on the second thing, or? ANNA: Yeah, ‘cause you lose two dice, so. FAY: Yeah, so you’re down to two. (BILLIE makes noise of distress) This is where things start to get interesting. FAY: The stress, stress is what does it. FAY: Okay, and what Tabitha got was a four, so that is a- she’s really annoyed by this. FAY: Very annoying. “Don’t touch my fur. Oh my god.” And so she’s gonna have a one-die penalty to her next skill roll, whatever it is, because she is very annoyed by all of this touching that is happening. BILLIE: And the skill roll is probably coming from me, the next skill roll? ANNA: No, Tabitha’s next skill roll. BILLIE: Okay, [I] get it. FAY: So we’re in this stressful situation. FAY: These spirits are trying to take off our lederhosen. What do we do? BILLIE: And now Lalla can’t even remember which pouch has the right herb anymore. FAY: Do you wanna try and see if she can do it? FAY: You can also pop down one of the ghost traps. BILLIE: Yeah, should we pop a ghost trap down? FAY: Okay so Tabitha, very strangely for everyone, she’s gonna pop the lid off a cat food can all by herself. Very disturbing to see. ANNA: Um, just a quick question. Do Jacob and Lalla know that Tabitha is not… an Earth cat? JOSEPH: Uh, no. My character has no idea. Jacob is definitely sure that Tabitha’s a completely normal cat. FAY: She’s, she’s opening cat food cans with her paws. ANNA: Yeah, I think that’s a one-dice stress roll for those. (rolling noise) Five? Oh. FAY: You’re sure that Abigail is doing this somehow, and Tabitha’s a very well-trained performing cat. ANNA: So billie, could you make a one-dice stress roll? FAY: So that’s a one-die penalty to your next roll. See, you’re annoyed by these shenanigans. BILLIE: Yeah. Well, I’m probably frustrated because now I’m overwhelmed and I, like, can’t figure out what’s going on. FAY: (rolling noise) Oh, that is a terrible roll. (small laugh from BILLIE) That’s- okay. This is where the GM gets to do stuff. BILLIE: Oh my gosh. So now there’s like, mayhem at the grocery store. FAY: A one, a two, and a two. Which is probably, statistically, a rather unlikely bad roll. But that means that it’s bad. The GM decides your fate, or you may suggest something suitably negative. Do you have an idea for what the, uh, technology contained in this cat food can that normally traps ghosts does? ANNA: Exactly! And this is the cutest thing that she has ever seen, so she’s like- I’m making an excited face. So she’s about to rush towards you. So Tabitha has to sort of hide the fact that she’s opening a can, and it doesn’t quite open. BILLIE: So our lederhosens are going crazy still. Are you still dancing? BILLIE: Who is in danger of also losing her lederhosen. ANNA: Yes, or an Athletics roll to keep opening the can surreptitiously. FAY: She’s- she’s a cat. She’s gonna keep going with the can. (laughter) Her mind is set. We’ll see how this goes. A three! Uh… not great. So there may be a positive side effect, but it is not going well. ANNA: The GM decides your fate, but you may be a given a chance to suggest a single positive, albeit minor, effect. So you get the can open. [Sound effect of can opening.] But there is still that fan. Actively talking to Abigail. FAY: (sigh) Abigail cannot speak on her own, so she’s just standing there silently right now. So it is very strange, because of course Abigail is just a robot. She translates. So because Tabitha was focusing on the can, which is our minor side effect, this fan is very confused and upset and I think is calling friends ‘cause she’s worried about Abigail. Because Abigail’s standing there silently, not reacting. So she’s calling, I believe, “Is there a doctor or something?” She’s gathering people into this area because she’s worried about Abigail. BILLIE: If only I could remember which pouch I just used, then I could blow it on the spirits and get them away. JOSEPH: Mhm. That’s a five on the die. FAY: That’s a franchise dice. ANNA: So billie, you said you wanted to have Lalla remember? BILLIE: I think that would be ideal if we could bind these spirits. ANNA: So another Academics roll? BILLIE: And then I do it with two die because of the previous thing? FAY: Um, you have your talent. BILLIE: Oh, my talent is plant talking. FAY: But did you have the one-die penalty? FAY: Okay, so it is two. BILLIE: (sing-song voice) Well, let’s see if I can remember! Four and three. Four. FAY: That is definitely a comical side effect. ANNA: Okay, yeah. You did mention that Lalla is a bit modest, right? ANNA: Stress roll, because their underwear is very cute. BILLIE: -frazzled. Oh no. I have to lose two more die. FAY: But it doesn’t have to be from the same skill. FAY: I would recommend against taking your Academics down to zero. FAY: Well, your underwear’s showing; how can you have a conversation? ANNA: Well, I think at this point, you have reached the requisite number of dice. You’ve gotten all the sprites bound with the powdered herbs. FAY: So was that their final act before they got bound? JOSEPH: And we even have the fans contained. ANNA: Yeah, yeah we do. FAY: Okay, so do we say that the, um, combination of the herbs kind of captures them and they slowly get sucked into the cat food can? And then its lid goes like, pshew, back on? FAY: And now we have to probably pay for that ‘cause they think it’s cat food. BILLIE: While I’m crying and mumbling in Arabic while holding my little shorts up. ANNA: He just wants the crowd of people gathering in the chilled beverages aisle gone. FAY: “You will know, later. That there will not be any more problems with that refrigerator, as we have fixed your sprite problem.” (hysterical laughter from multiple people) He does not understand what Abigail slash Tabitha is saying. He thinks we’re referring to Sprite the beverage. FAY: Everyone now thinks we’re just repairing the refrigerator. BILLIE: Lalla’s crying and sitting in the hot tub in the back of the limousine. ANNA: You have the limo driver just standing- had been like sitting with his arms crossed outside the grocery store, leaning up against the limo. He’s blasé. BILLIE: Lalla’s even wearing one of those little hats, you know. Just like sitting, crying in the hot tub, with like a full German regalia. JOSEPH: He’s a bit more like the- he’d be played by Jeff Bridges in a movie. JOSEPH: He’s a bit more of the scruffy, kind of groody type character. ANNA: Okay, so this is where we get to clean up. ANNA: This is the clean-up stage. You acquired the number of franchise dice you’ve got. (JOSEPH: Whew.) You may finish the job and get paid. Um, so you did get eleven franchise dice; you needed ten. So when you’re describing stuff happening in the future, that’s something to keep in mind, everyone, is that you can get more franchise dice, but then you can also suffer stress the more you go on, drawing encounters out. And you can end it early if you’re just tanking. You do only get half of your franchise dice. BILLIE: That one was close. FAY: Yeah, so I think we should have a vacation. BILLIE: Yeah. Lalla needs a vacation. ANNA: I was gonna say that the manager of the QFC hands you, like, a couple hundred dollars. He’s shoving you out the door, and Helen gives you your standard fee. BILLIE: Is the money from the manager just to keep us from coming back, or…? ANNA: So you have eleven and you can distribute it. JOSEPH: Now we do vacation or whatever to heal our characters’ damage. BILLIE: [It’s] like basically to get me my numbers back to what I started with? FAY: Yeah, so I think that you’re down four, right? JOSEPH: I’m only down one. FAY: So I think we’d be spending five of our eleven franchise dice on getting you guys back up to restored. FAY: I think they have a slightly more involved mechanic, but I remember it being kind of confusing. And so I think, let’s just go with this. If you’re all cool with it. JOSEPH: Yeah. I remember it being just one for one, honestly. FAY: I think so. And that means we have six left to play with? ANNA: Uh… you had eleven, five, yes. That is in fact six, if I can do math. BILLIE: Speak for yourself, man. FAY: Quite so, quite so. BILLIE: Yeah, that was challenging for Lalla. Poor Lalla. BILLIE: They’re just like, not even speaking in sentences in anymore. Their hat has fallen into the hot tub. ANNA: Yes, so you have six dice. FAY: So what do you think? One on each? FAY: And then maybe two in the bank? I think that’s the bank? BILLIE: And then the other ones. Does that mean my thing- like, the other ones were used to bring me back to my normal numbers? ANNA: I think you may be one extra on… the library? BILLIE: Yeah, the library. (voice rises in pitch) The library is the best! FAY: (narration) And that is the end of this episode. Today’s game was a complete adventure, but we have more ‘Cat’s Paw Ghost Control’ for you. Please join us in three weeks on Thursday, November 30th, for ‘Cat’s Paw Ghost Control Adventure 2: The Backyard Mystery,’ where the team investigates some disturbing, supernatural growls that have been plaguing a small Seattle neighborhood. If you want to find out more about today’s guests, here’s how to follow them. FAY: (back to the game recording) So uh, Anna, do you want people to find you on the internet? JOSEPH: My Twitter is @justevilenough. 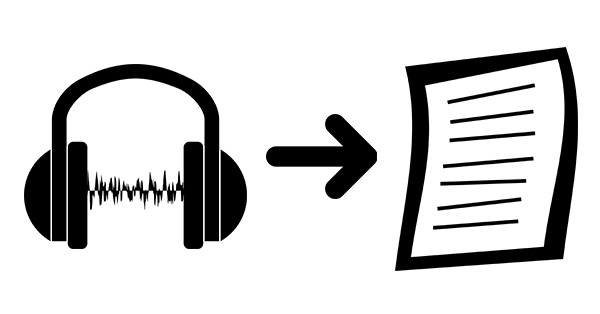 FAY: (narration) If you like what you hear and want to hear more, be sure to follow Writing Alchemy on Twitter @ Writing underscore Alchemy and on Facebook at facebook dot com slash Writing Alchemy. This podcast is now up on Stitcher, which is something I’m pretty excited about because Stitcher is a podcast platform that should be accessible to those who don’t like iTunes. Stitcher is easy to use and also has some pretty neat tools and widgets available. So now you can subscribe to this podcast on Stitcher, iTunes, or by using its RSS feed. If you want to help me keep this podcast going, pledge your support on Patreon at patreon dot com slash writing alchemy. And be sure to visit writing alchemy dot net to find all of the Writing Alchemy podcasts, articles, stories, and other content. Taken from website’s description; see episode post for link.